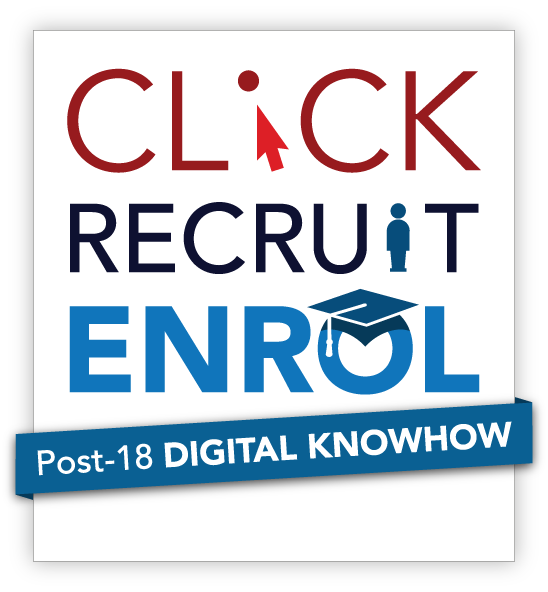 Thank you to everyone who participated in the first Post-18 ‘DIGITAL KNOWHOW’ Conference that took place in London UK on Friday 21 June 2013, organised by CLICK-RECRUIT-ENROL, and to our speakers and conference team. We were pleased with the quality of the speakers and the enthusiasm of those attending for learning information, tips and techniques and for sharing experience. Please scroll down this page to download the speakers’ presentation slides as a pdf. Video of their presentations will be available on this page soon. If you or any of your colleagues are looking for training in digital marketing and admissions please book a place(s) on our introductory/intermediate and/or advanced training seminars taking place in the Autumn term. These training seminars have been running for 8 years and offer an intensive day of training (and extensive materials) in all the major aspects of digital marketing for Schools, Colleges, Universities and other education and training institutions and organisations. JULY SUMMER SAVING: Following the DIGITAL KNOWHOW Conference, we are pleased to extend a special 10% July Summer discount on the Early Bird price, further reducing the cost (which includes the training, venue, refreshments and lunch and 100+ page training guide). This offer is subject to availability. Tips on using Mobile, Multimedia, digital for Events (Open days etc) etc. ADVANCED: The ‘Advanced Digital Education Marketing’ training seminars. Our thanks to Hootsuite for arranging a discount on their HootSuite University offering insights and materials on using Social Media. Please click on the name of the speaker of interest in the table below to download their presentation slides as a pdf. Please use the main menu to navigate other webpages about the Conference. Book here if you are ready to confirm your place(s).